The OUKITEL Dual Mini Wi-Fi Smart Plug uses your existing home Wi-Fi network to provide wireless control of your lights and appliances. 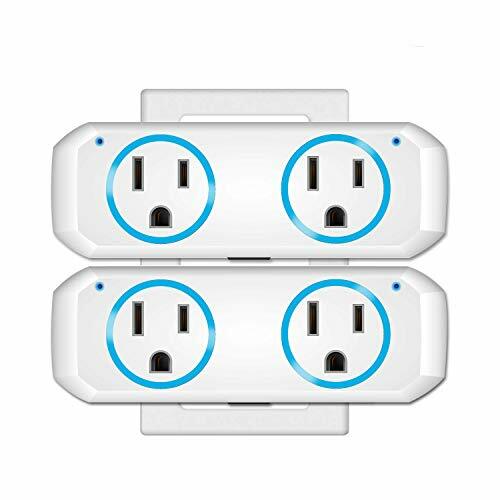 No subscription or hub is required: simply plug OUKITEL dual Mini into an electrical outlet, connect a device to the Smart Plug, and wirelessly control your device using a tablet or phone. Using the free Smart Life app, you can turn your devices on and off and set worry-free schedules from anywhere in the world, so that they run on your schedule. You'll find that automating your devices will help streamline your daily routine for a more efficient household.